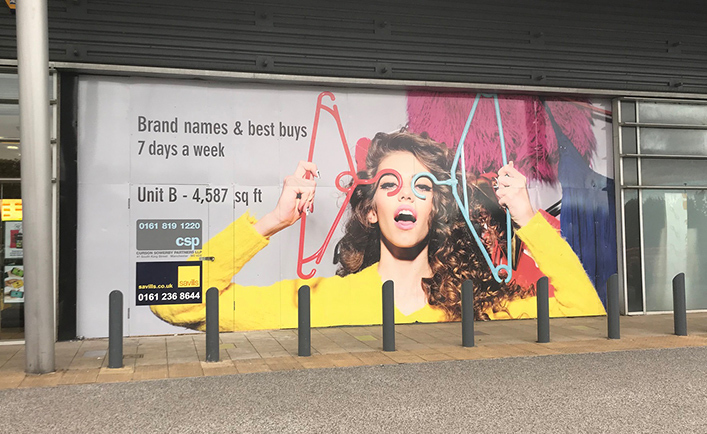 Catching the eye – quite literally – this is our latest stunning window promotion aimed at potential occupiers on West One Retail Park, Eccles, Manchester. Splashed dramatically across the frontage of this massive 150,000 sq.ft. 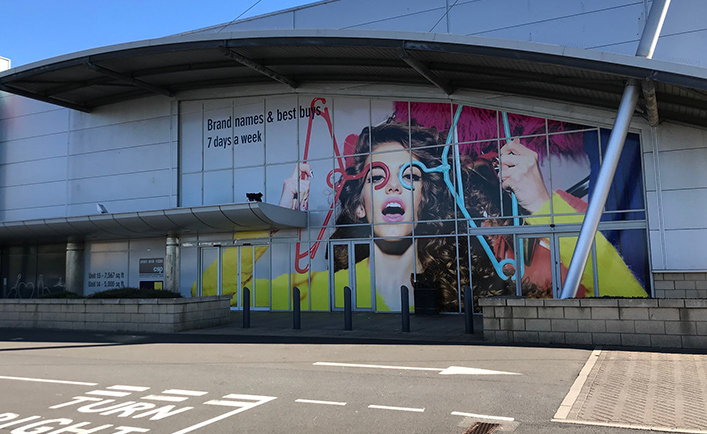 shopping mall and advertising ‘Brand names and best buys 7 days a week’, the large format window vinyl is the latest in a series of promotions undertaken by us on behalf of our client Frogmore, the UK real estate fund manager and landlord of West One. These window graphics will brighten up and transform commercial developments in progress, temporary vacant periods on retail parks and on the high street. They can also act as a great advertising space that is sure to draw attention. Similar projects include Crossways Business Park, Dartford; Weston House, High Holborn and South Place Hotel in London.